Home/SEO/Creating a purpose-driven SEO strategy – What are the benefits? In an average year, there are more than 500 updates to Google algorithm and with that in mind, how can an owner build a strategy which has the ability to stand the test of time. The key to ranking high in search engines is defining the purpose of your site and mapping the objectives. It is only this way that you can create a strategy which produces best business results. Although this seems to sound a bit elementary but SEO is much more than just ranking higher for specific keywords. Rankings are important but they only tell us a part of the story. How are you supposed to know that you’re succeeding? An SEO strategy which is purpose-driven – How to build it? 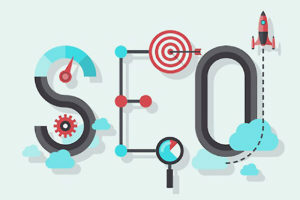 The foremost step in building an SEO strategy which is driven by purpose is to define the main goal of the site. Once this is done, every other part will fall in place. Check out a ton of reasons behind the existence of a website. So now that the purpose of the site has been defined, what should you do next? Well, there are many factors to take into account. Content is the main reason behind people visiting the website. The main purpose of your website will decide the kind of content which you need to post to attain its purpose. As content is one of the main ranking factors, it is important to check how well your content connects with the desired audience. While you build your content for SEO, you have to think of the questions which your target audience might ask you. It is only when you understand such questions that you will get a better idea about your target audience. Streamline your list and run it through research tools.